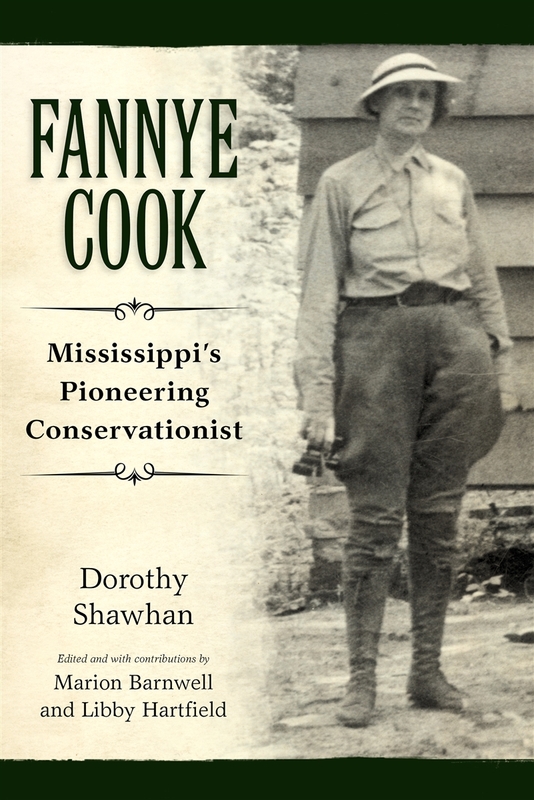 Conservationist Fannye Cook (1889-1964) was the most widely known scientist in Mississippi and was nationally known as the go-to person for biological information or wildlife specimens from the state. This biography celebrates the environmentalist instrumental in the creation of the Mississippi Game and Fish Commission (now called the Mississippi Department of Wildlife, Fisheries, and Parks) and the Mississippi Museum of Natural Science. To accomplish this feat, Cook led an extensive grassroots effort to implement game laws and protect the state's environment. In 1926 she began traveling the state at her own expense, speaking at county fairs, schools, and clubs, and to county boards of supervisors on the status of wildlife populations and the need for management. Eventually she collected a diverse group of supporters from across the state. Due to these efforts, the legislature created the Mississippi Game and Fish Commission in 1932. Thanks to the formation of the Works Progress Administration in 1935, Cook received a WPA grant to conduct a comprehensive plant and animal survey of Mississippi. Under this program, eighteen museums were established within the state, and another one in Jackson, which served as the hub for public education and scientific research. 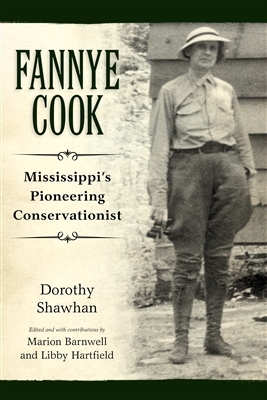 Fannye Cook served as director of the Mississippi Museum of Natural Science until her retirement in 1958. During her tenure, she published many bulletins, pamphlets, scientific papers, and the extensive book Freshwater Fishes of Mississippi. DOROTHY SHAWHAN (1942-2014) was an outstanding educator and writer. She taught at Delta State University in Cleveland, Mississippi, where she chaired the Division of Languages and Literature from 1991 to 2006. She published widely in literary and scholarly journals and authored four books, including the widely popular novel Lizzie, based on the life of a Mississippi governor's daughter, and coauthored a biography, Lucy Somerville Howorth: New Deal Lawyer, Politician, and Feminist from the South.